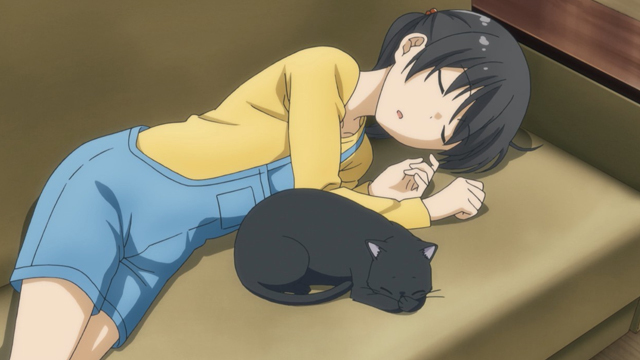 I absolutely adored Flying Witch last season. It was the show that I went to when I wanted to just wind down, kick back and relax as I watched a nice, calm and fun anime. The show is full of great characters, adorable personalities. 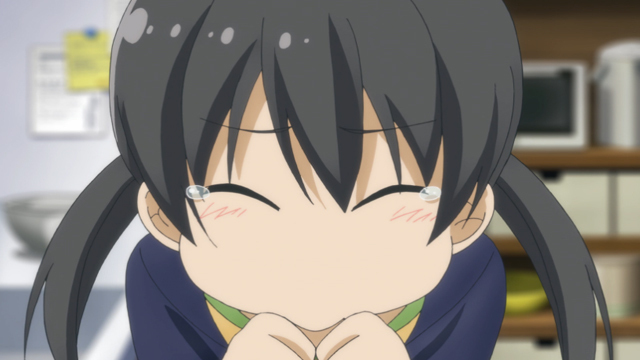 But no one in that show remotely eclipses the most adorable child character I’ve seen in an anime: Chinatsu-chan! Chinatsu Kuramoto, younger sister of Kei and the cousin of main character Makoto. Nine years old and she rules the screen whenever she’s on there, quite possibly the cutest thing I’ve ever seen in anime. When we’re first exposed to Chinatsu, she’s very much your average young girl, she’s very shy at first and then once she’s gotten comfortable around you, she’s just a giant ball of adorable energy. If she’s smiling, there isn’t anyone on the screen with her that is as happy as she is and it is absolutely infectious. Throughout the course of the anime, while the show never really delves into anything of a sad note, whenever the show has a quiet moment, or at the very least a moment where you’re not smiling as you’re watching, Chinatsu-chan is the one who breaks that streak and sends you back into an infectious smile with her pure innocence and happiness. And it’s not even limited to when she’s being a cute little girl and waving her arms about as she’s super happy about something, you still smile like crazy when she’s making her silly dumb faces when she’s faced with disgusting vegetables, or her over-the-top freaked out faces when the Harbinger of Spring shows up for the first time. Whenever she’s on screen, no matter what she’s doing, you can’t help but smile when she does it. But what really makes Chinatsu so notable is that she has such a staying power for a character that isn’t really part of the main cast, though I suppose that can be arguable. But as a child, she’s more like a background character amongst the other older characters like Makoto, Kei, Akane and others. I find that her role isn’t to be the center of attention, but to enhance everything going on around her through her reactions and expressions. 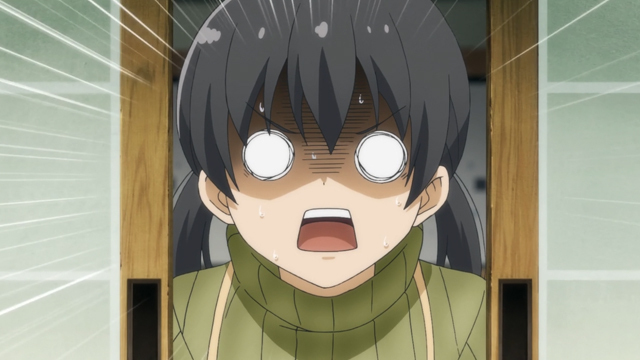 When something silly is happening on screen, her reactions to what’s going on enhances the comedy of it. When something adorable is going on, her reactions enhance how adorable it is, after all how can you not think something’s cute when a nine year-old gives it her stamp of approval? She has a sort of story arc through the show, though it’s not really character development per se, as no one in the show really goes through that in the entire series, the show is more just a “here’s a bunch of characters, here’s a setting, here’s them doing stuff.” kind of show, there’s no huge character arcs or plot twists or anything like that, it’s just a series of normal events and the odd witch-related event and their reactions to it. But as the series goes along, Chinatsu plays with the idea of becoming a witch herself, the same way we as kids wanted to become astronauts, or athletes, or firefighters. And like everything else she does, it’s freaking adorable watching her innocent mind go through the motions of wanting and trying to learn witchcraft, even though it’s near impossible for someone not born into a family of witches. There’s not a whole lot more I can say about Chinatsu-chan that goes beyond “She’s so freaking cute!!!”. So instead of boring you further with the same sentences over and over again, I figured I’d end the article instead with a gallery of images that just show you why Chinatsu is exactly that. Freaking cute. And do you know Chinatsu-chan appeared in another cute anime too. 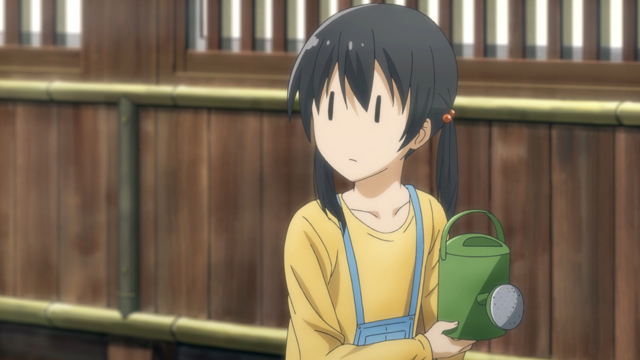 In Facebook, There’s “Flying Witch Petit” clip, short anime for promoting main series. So I watched. I watched this 2 minutes anime and maximum kawaii 3D punches sent me flying & knockout like that from this overwhelming power, their cuteness are too much for me. 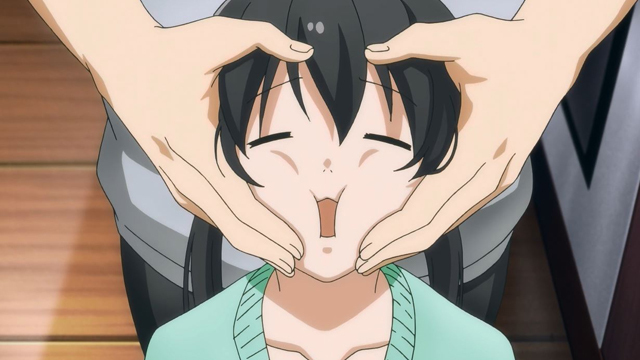 That’s why, after I recovered (from injury), I did anime review for respecting their level SS cuteness. If you want to explore, you can see Petit via post link in my username.